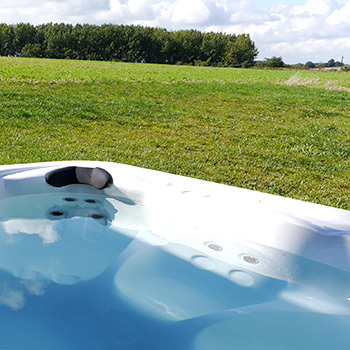 Hot tubs are the perfect way to unwind and relax on holiday after a day’s exploring Suffolk and they are also well known for their hydrotherapy benefits. 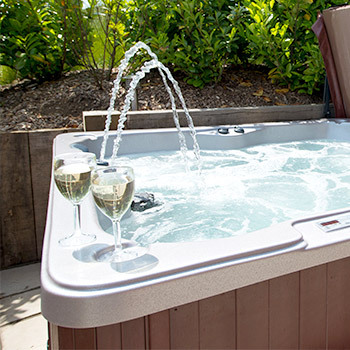 It has been said that spending 30 minutes a day in a hot tub will make you feel healthier and live longer, so make the most of the hot tubs at our self-catering log cabins and Sheepyard Barn. The Sheepyard Barn has its own private hot tub which is set on a patio behind the “Shearing Shed” overlooking the fields and valley. The hot tubs have a lights and powerful pump offering pure hydrotherapy. Each of our Log Cabins have a private hot tubs overlooking the lake so you can relax watching the wildlife drifting by. Our Southwold cabin’s hot tub has a gazebo over the top to help ensure guest’s privacy and also is popular for those who wish to hot tub in the rain but keep their hair dry. Hot Tubs deliver hydrotherapy benefits through a mixture of buoyancy massage and heat to relieve stresses and strains from everyday living. Warm water massage stimulates the body to release endorphins that reduce stress naturally. In addition to stress reduction, a Hot Tub’s hydrotherapy jets also dilate blood vessels to help prevent headaches. Falling asleep faster and getting a good night’s sleep is also greatly aided by soaking in a Hot Tub. The soothing warmth and buoyancy of water in a Hot Tub makes it a safe and ideal environment for relieving arthritis pain and other studies claim that the muscle relaxing and joint loosening benefits of Hot Tubs help those with depression, Carpal Tunnel Syndrome, Fibromyalgia, Tendonitis, Scoliosis and Bursitis. Overall, hydrotherapy studies have shown that the health benefits of immersion in warm water with massage jet action include the relaxation of muscles, lowering of blood pressure, loosening of arthritis joints, as well as help with the control of blood sugar and body weight.